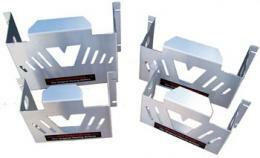 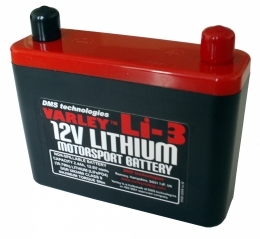 The Varley Red Top range of battery Mounting Brackets combines strong and lightweight aluminium with polyethylene vibration damping foam padding to protect your battery from damage caused by excessive shock and vibration. 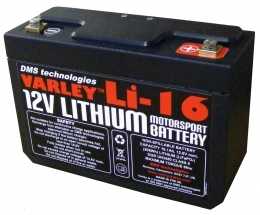 The Varley Li-16 battery has been specifically designed and manufactured in the UK to deal with the demands of race and rally. 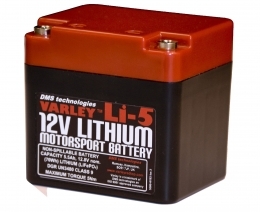 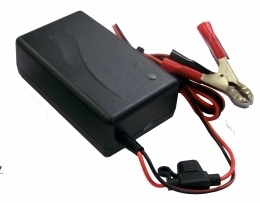 The new battery is similar in physical size to the Varley Red Top 15 (fits within a VRT15 Bracket) with the cranking performance of a Varley Red Top 30 - all in a battery that weighs only 3.2kg.